1009 Patton Creek Ln #1009, Hoover, AL.| MLS# 831754 | Richard Jacks UABLIVING.com 205-910-2297 | Birmingham AL Real Estate | Contact us to request more information about our Homes for Sale in the Birmingham AL area. Hoover Condo! 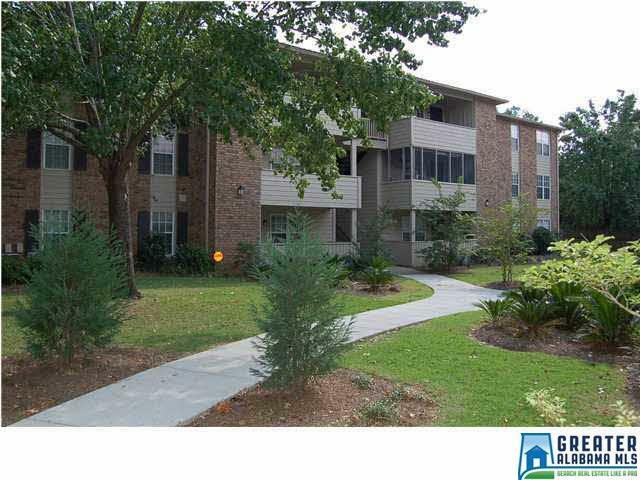 3 bedroom/ 2 bath, top floor condo in Hoover's Patton Creek. Cozy living room, eat-in kitchen equipped with a pantry, stove, oven, dishwasher, refrigerator, built-in microwave and a large dining area. Large master bedroom and spacious spare bedrooms. This home features a patio and storage closet just off the living room. Community amenities include sports courts, grill area, pool, clubhouse and workout facility. Driving Directions: From I-459 South. Exit On Hwy. 31 North. Right On Hwy. 31. At Third Red Light, Turn Left Onto Patton Chapel Rd. Patton Creek Is 1.25 Miles On Left.